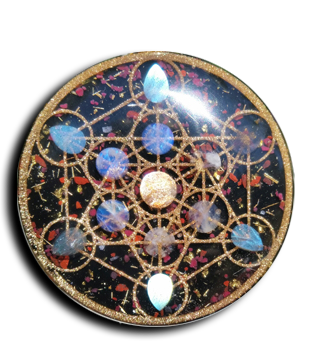 24″ Flower of Life with Carnelian and Jasper. Also contains steel shavings, gold leaf and glow and 42 quartz crystals. This wall hanging flower of life is finished with a high gloss eco-poxy.